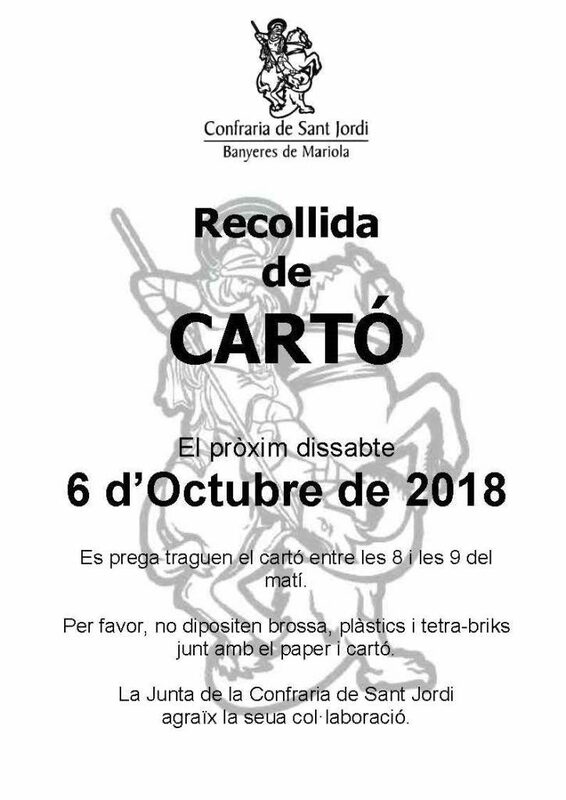 The Board of the Brotherhood of St. George we reported that the cardboard collected next day is Saturday 6 October 2018. Take this opportunity to beg them not to lay bricks, We mixed containers or with paper, and swallow cardboard between the street 8:00 and 9:00 h. in the morning. Also we want to thank her in advance • co-operation so valuable to the Guild of St. George.